Regal Plaza commenced in 2001. It provides its guests with a gateway feeling during their stay. Impeccable service and hospitality makes our clients feel comfortable and relaxed. Regal Plaza, the business class hotel has everything a discerning guest could wish for both in luxury and comfort. 87 rooms offering comprehensive facilities for both corporate and leisure travelers with a choice of standard, deluxe and super deluxe rooms with a spectacular view of the City and Shopping Malls, direct dial phones, mini bar and individual safety lockers located at reception, color tv, dvd players on request, in house movie and satellite channels, bathrooms with hair dryer and telephone extension. 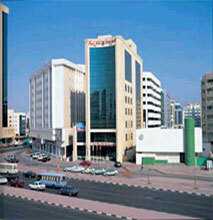 The Regal Plaza is also equipped with the latest fire prevention system and the choice of non smoking rooms..